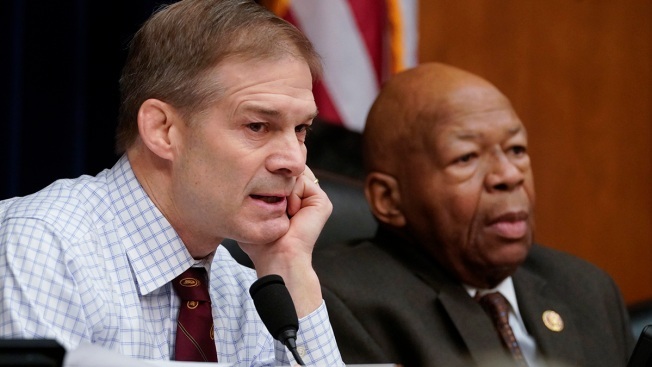 Rep. Jim Jordan of Ohio, the House Oversight and Reform Committee ranking Republican, left, and Chairman Elijah Cummings, D-Md., right, during a committee hearing on Capitol Hill in Washington, Feb. 26, 2019. A House committee voted Tuesday to subpoena Trump administration officials over family separations at the southern border, the first issued in the new Congress as Democrats have promised to hold the administration aggressively to count. The committee's chairman, Democratic Rep. Elijah Cummings of Maryland, has pledged to press the administration for documents and testimony on a wide swath of issues, but family separation was among his first priorities. "I believe this is a true national emergency," Cummings said. "When our own government rips children from the arms of their mothers and fathers with no plans to reunite them - that is government-sponsored child abuse." 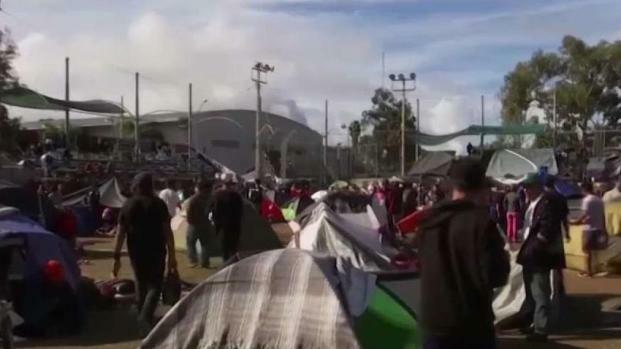 Thousands more migrant families may have been separated than the government initially reported, a watchdog group said, possibly due to ongoing problems keeping track of children. "Today's unnecessary subpoena vote was a political stunt and contrary to the constitutionally mandated accommodation process," said spokesman Tyler Houlton. "We have worked with congressional committees in good faith and will continue to do so. 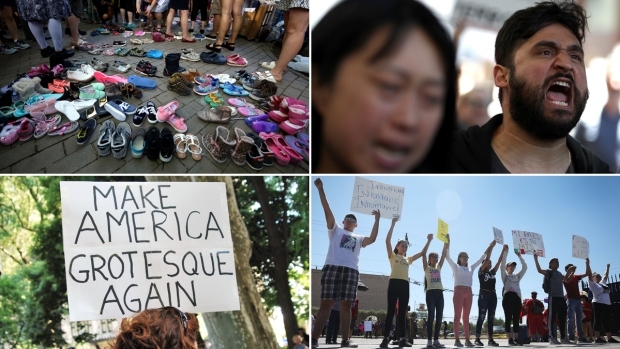 We hope they will return the favor and respect the process and the men and women of DHS." Rep. Jim Jordan of Ohio, the committee's ranking Republican, sent Cummings a letter arguing that the subpoenas would not be necessary, and that the administration had produced hundreds of pages of documents in response to earlier requests for information. "We should not rush to compel documents from the departments, especially when they have sought to comply with your request voluntarily," Jordan wrote. Other Republicans said the committee should go through the paperwork they have on hand before deciding whether the agencies haven't complied with the request, and ask for data related to separations under the Obama administration. But two voted to issue the subpoenas. "The information we got was not one name, not one number," Cummings said. "Zilch." "Additionally, we have transparently provided 792 pages of documents related to the committee's request," and offered a review of an information portal, spokeswoman Caitlin Oakley said. Because children can't be placed with their parents in jail, they were separated. Watchdog reports have found the administration was not prepared to manage the aftermath of the separations, and had no way to track the families and did not have a way to reunite them until a federal judge stepped in. An internal watchdog report recently found that thousands more children than previously thought may have been separated before the zero-tolerance policy officially began. Immigration officials are allowed to separate children if there is a concern for the child's well-being, if a parent has a criminal charge or if there are serious health risks. Additional data released by Health and Human Services Tuesday show there were nearly 5,000 complaints of sexual abuse and harassment of migrant children in government-managed shelters over four years. The allegations include inappropriate touching and showing pornographic videos. The data include information from both the Obama and Trump administrations, from October 2015 through September 2018. Officials say most of the allegations haven't been substantiated and are defending the care they provide to migrant children.